The aim of this study is the evaluation of osteoporosis related genes and transcription products, demographic and medication data for the estimation of fracture risk in women with osteoporosis. Such estimations are important for the creation of computerized applications similar to the Fracture Risk Assessment Tool (FRAX®). 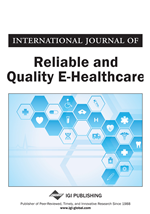 Low cost Internet based tools were used for the creation of anonymised patient record stored in the Cloud, and for an interdisciplinary team to decide on patient inclusion via voice and video conference. 100 female patients with an osteoporotic fracture, on medication or not were included in the study. A series of seven biochemical parameters using the Luminex® technique were measured and genetic characteristics using the microarray Metabone® technique were analysed. The statistical analysis indicated that these new parameters can be important for the estimation of fracture risk; thus computer based risk estimation for fractures could be based on additional molecular data. Osteoporosis is the most common metabolic disease of the bones and is a major public health problem because it involves serious consequences for patients, their families as well as the health system and the national economy. Osteoporosis and osteoporotic fractures represent an enormous epidemiological problem and is associated with an increase in the average age. According to the latest definition of a NIH Consensus Conference in 2000 (“Osteoporosis prevention, diagnosis, and therapy,” 2000), osteoporosis is defined as a skeletal disorder and is characterized by decreased bone strength that predisposes a person to fractures. The main clinical manifestation of osteoporosis is the low-energy fractures. Women of white race present a cumulative lifetime risk of 16% to suffer at least of one vertebral osteoporotic fracture, 15% of a osteoporotic low energy wrist fracture and 16% of hip fracture(Lauritzen, Schwarz, Lund, McNair, & Transbol, 1993; Melton, Atkinson, O'Fallon, Wahner, & Riggs, 1993). Example X-ray images of the most common fractures are presented in Figures1, 2 and 3. In Europe, the incidence of vertebral fractures diagnosed is 10.7/1000 individuals per year for women and 5.7/1000 individuals per year for men (European Prospective Osteoporosis Study et al., 2002). For children and adolescents there are reports related to osteoporosis as well (Bishop et al., 2014; Rauch et al., 2008). It is estimated that in the European Union the hospitalization and treatment cost of patients with osteoporosis is approximately 4.8 billion euros annually. The number of occupied hospital beds per night per year are about 500,000 (The International Osteoporosis Foundation, 2002). The cost in the health system is not the greatest consequence; as fractures are associated with mortality. Specifically hip fractures increase mortality by 6-37% depending on the previous health status of patients,moreover 20% of deaths happen in the first month after the fracture(Cooper, Atkinson, Jacobsen, O'Fallon, & Melton, 1993).Vertebral fractures are accompanied,as well, by a significant increase in mortality, as pinpointed by large multicentric studies such as SOF (Study of Fractures) and EPOS (European Prospective Osteoporosis Study)(Center, Nguyen, Schneider, Sambrook, & Eisman, 1999; Ismail et al., 1998). Estimation of the risk of fracture for individuals thus becomes of interest. Particularlyfor people of the third age (because the population in developed countries ages). Furthermore, is critical to completely understanding the responsible mechanisms as well as the capability to achieve an early detection, proper prevention and treatment for preventing them, especially for the low energy fractures. Nowadays the most promising method to understand the underlying mechanisms of osteoporosis (the fundamental reason for low energy fractures) is based on molecular biology research(Franceschi et al., 2015; Stamouli et al., 2015; Xie, Ji, Zhao, & Gao, 2015).Particularly, it is very important the study of the expression of osteoporosis-related genes(J. Chen et al., 2014; Y. Chen & Xia, 2014; Lee et al., 2014; Park et al., 2014); these promise to provide in the future all the necessary information, giving the possibility to offer personalized therapeutic protocols to patients.